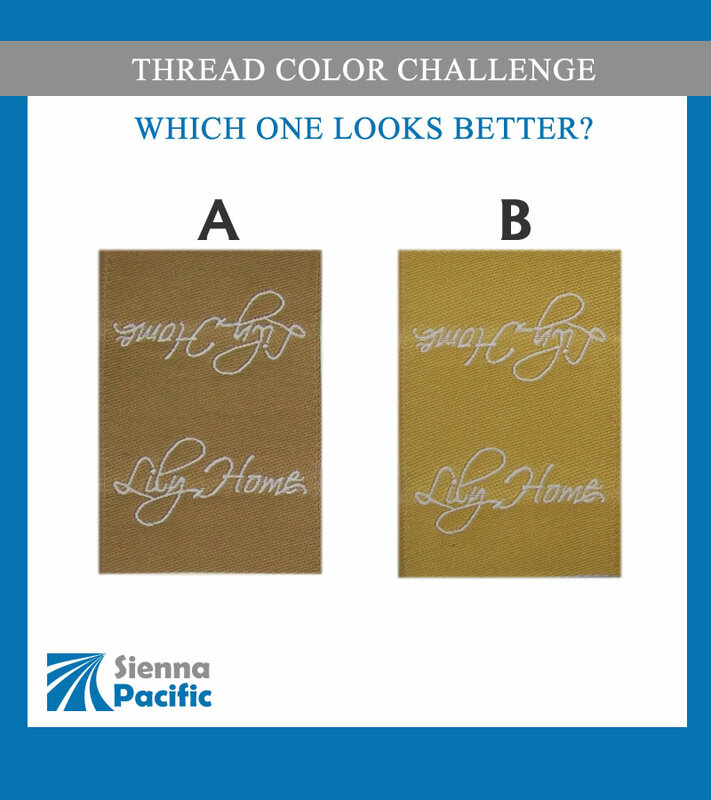 Which Thread Color Combination Produced The Better Looking Woven Damask Label, A or B? Although not easily noticed in the picture, this label was designed as a center fold label, to be sewn as a “flapping tag” on the outside seam of our customer’s product. They were debating between a tan vs more of a golden look.